Hi, a little about Steve Howell. I live just east of Dallas Texas on a couple acres. 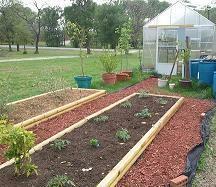 I grow my own organic vegetables, mostly in raised beds. I raise chickens for the eggs. I have a cat that just showed up one day as a kitten that was too cute to do any thing but keep. I also have three Guinea hens that roam the area eating bugs. I got interested in nutrition and healthy eating about Christmas of 2010. I was a very overweight 50 year old looking for a heart attack. I had cancer 10 years earlier and was down to one kidney so I decided it was time to do something about my health. Yes it took me 50 years. I started doing some research on reversing heart disease and high blood pressure and also preventing cancer. Most of the medical community said there was no cure for high blood pressure or heart disease, you could only manage it with drugs. Then I came across a book by Dr. Dean Ornish. In the book he described a lifestyle change that he prescribed to actually reverse heart disease. I then started to search out more evidence that you could actually reverse diseases and found more doctors saying basically the same thing. I got Dr. Joel Fuhrmans book, Eat to Live, and read it. He too said that you could eat to reverse and prevent disease. I read a couple more books on the subject by other doctors, each with a similar plan. 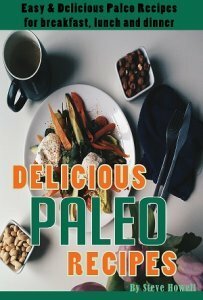 I started following an eating plan that was a culmination of the reading I had done. I also started exercising about 20 minutes a day. I weighed in at 278 pounds at the time. One year later I was down to 215. I am still losing weight and hope to get to 160 soon, although the weight isn't coming off as quickly as when I started. My goal with healthy-eating-better-living.com is to give people the right information. There are so many sites out there that profess to be a healthy eating site and give out unhealthy diet information. Most doctors don't get more that a few hours of nutritional training. They think that the only way to manage a problem is with medication. Prescriptions are given out based on what the drug companies and the FDA is telling them. They never consider diet as a prescription. I hope to get across the idea that you can eat to change your health. I also hope to make this my full time job. I don't know how to program or design a web site and I can't write all that well. But I do have a brain and motivation and with a help from a company called Solo Build It!, I can have a site about something I am passionate about and make a few dollars too. How do I make money? Well, it's mostly from the Google's AdSense ads that appear on some of my pages. When someone is interested in one of them and clicks on it, I get money. Right now, it's not much, but it pays for this site and is growing.